Spiral-bound calendar features brilliant full-color photographs of cute, cuddly cats and dogs. Last page includes the condensed current and following yearly calendars, plus space for important phone numbers. 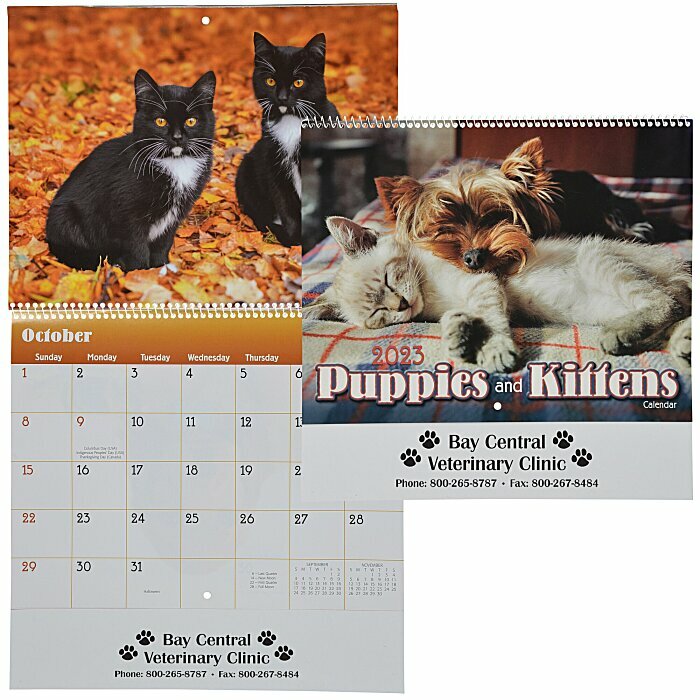 For staple-bound calendar, see item #9264-STPaws - Puppies & Kittens Calendar - Stapled.